We are working with the Land Based studies GCSE group as the first part of the Transtion project. Below is a resource created for students in support of sessions on soil carbon and biochar. Draw a diagram based on the information below explaining the process of creating charcoal/ biochar. Can you explain how biochar used as a soil improver could be a useful tool in combatting climate change and in reducing inputs in farming. You may want to watch the BBC video below about lost civilizations in Latin America as well as the short one afterwards on the same video on biochar applications to support and develop your ideas in question 2. 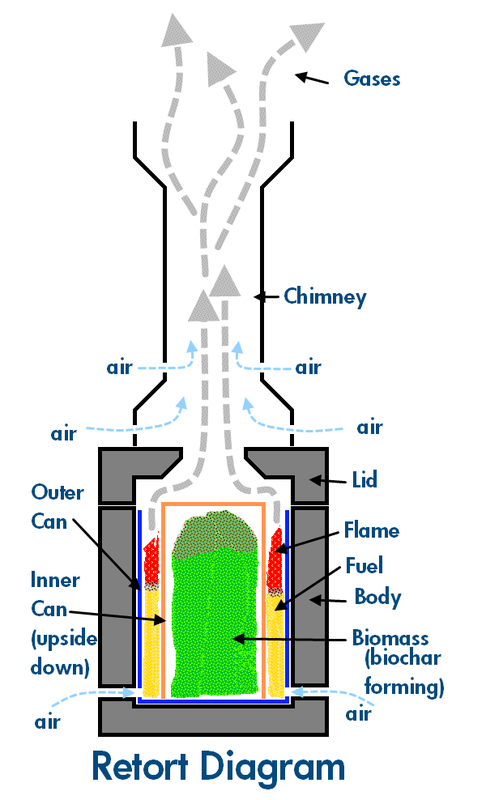 Here is a simple diagram of a wood gassification stove similar to the one demonstrated in class. Here is a short video of such a stove in action, cooking on wood gas whilst making biochar at the same time. The Secret of El Dorardo. Maybe the farmers who lived in the Amazon basin in what is now Peru and Brazil centuries before Columbus and other Europeans arrived there were some of the most sophisticated cultivators of the soil ever. 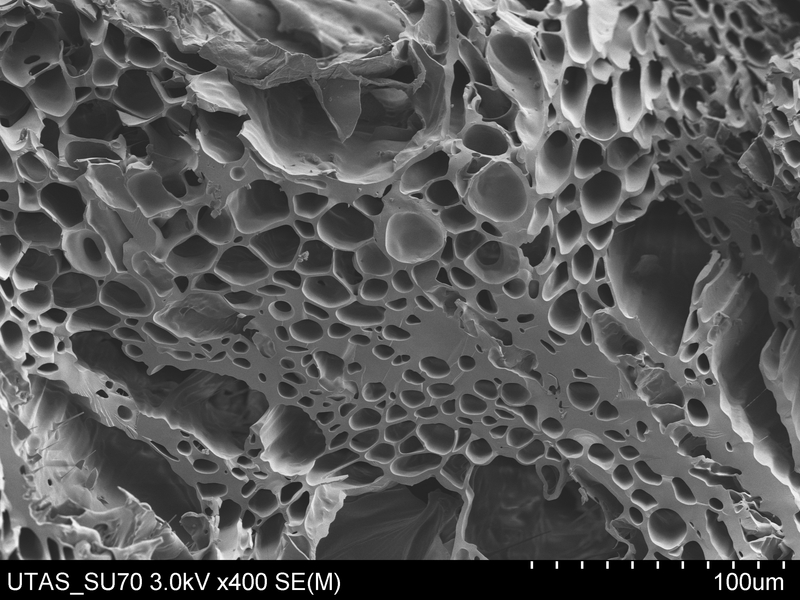 Biochar as seen under the microscpe. The scale of 100um is 0.1mm so very small indeed. The micro cavities and fissues in the char provide the ideal home for soil microbes and trap air and water making the soil much more fertile and alive. Could this be the secret to their farming methods? Tropical rainforests produce very poor soils, not suitable for agriculture yet these farmers in the Amazon from well over 1000 years ago supported a population of millions, how did they achieve this remarkable feat? They worked the land for over 1000 years and left behind fertile, stable black soils that are still extremely productive even today. The farmers themselves largely died out 500 years ago as a result of contact with western diseases like smallpox and influenza after Spanish explorers arrived in the region in 1530. Watch this video of the discovery of these lost civilisations as well as the shorter one on bochar and its applications on the same clip to help with this assignment. It talks about the discovery of Terra Preta, or black soils that can only be explained as man made and that defy our understanding of amazonian history and culture. Please explore these other resources if you would like to find out more. The British Biochar foundation undertake research and collect information about this remarkable material. The Soil fertility project, lots more information can be found here about biochar, its potential and its application. This locally based initiative has been developing mobile kilns for biochar production and we plan to work with them to produce biochar for our school orchard project.